Below is our map of available booth spaces for Exhibitors and Sponsors at our vape expo/vaping convention. To learn more about becoming an exhibitor or sponsor at our international vape expo. If you have any questions please get in contact with us today and a representative will assist you shortly. Want To Book Booth Space? 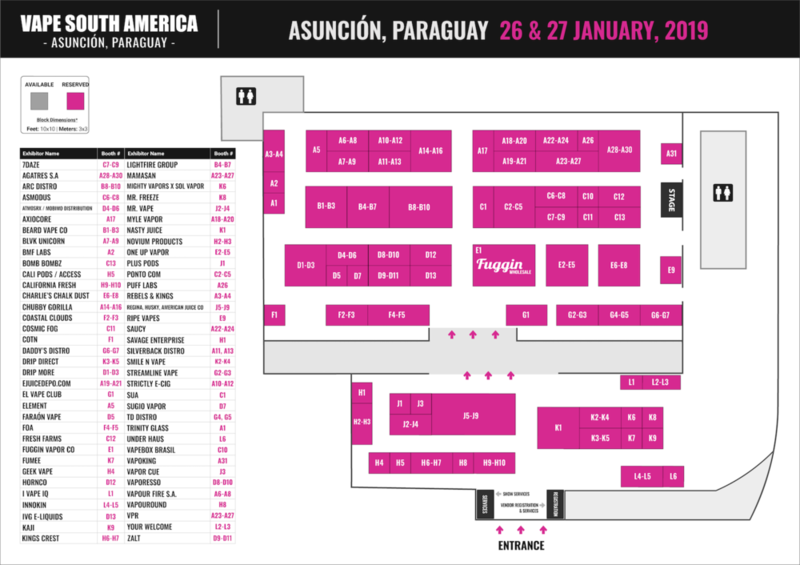 Join us at the first vape expo and vape convention in Paraguay! Booth space and Sponsorships Available Now!